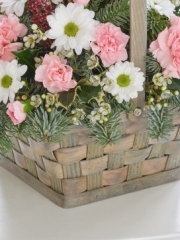 The wreath is one of the most classical and traditional funeral arrangement available. If you’re in need for a funeral wreath, whether you are organising the funeral or would like to present beautiful flowers at the funeral, look no further as Aberdeen Flowers will take care of everything on your behalf. Once your order has been placed, we take full responsibility of your flowers so that will be one less thing to worry about. All of our flowers come in fresh from our suppliers in Holland we receive over four deliveries per week. This ensures that our flowers are always fresh as well as ensures the quality of the flowers since Dutch flowers are renowned for being some of the finest in the world. 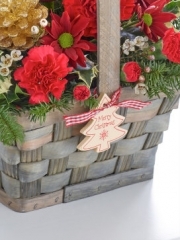 Additionally, not only are the flowers of premium quality but the Dutch suppliers provide the Aberdeen Florists with an abundant selection of flowers. 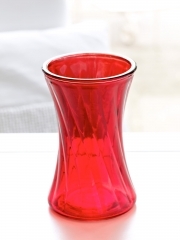 This means that we are able to fulfil all sorts of floral arrangements. 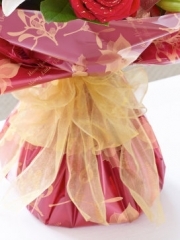 Whether you are after something bright and colourful or more muted and in pastels, we can do it all. Aberdeen Flowers understands that a funeral service is a time to grieve and be saddened by the loss, however, it is also a time to celebrate the life of your loved one. Thinking of funerals in this light, it is evident why everything must be perfect and why Aberdeen Flowers takes care of everything on your behalf. If you have any further queries, please do not hesitate to get in touch. You can contact us either by email or by phone on 01224644176 as there is always a staff member available to answer any queries you have. In addition to the funeral flowers, the Aberdeen Florists can also arrange beautiful sympathy bouquets. 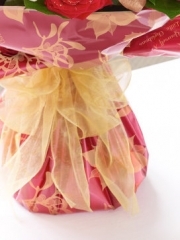 These are thoughtful gifts to send to the grieving family and friends of the recently deceased as flowers have the ability to bring some happiness to an otherwise very sad time. Like our funeral flower arrangement selections, we have a selection of sympathy flowers on offer that you are able to browse. If nothing online fully matches your tastes, don’t worry as we offer the bespoke service. This allows you to do a number of things. First, you can tailor an arrangement you have seen online and change things you don’t like such as the swap out a flower that you aren’t particularly keen on or request a different colour. Alternatively, you can request something totally unique which isn’t on our website and one of our Aberdeen Florists will arrange something fitting your requirements. On the other hand, if you’re not entirely certain what you would like, you can tell us what the occasion is and using our years of experience, we will arrange something beautiful for you. Four Seasons Aberdeen Florists has over forty years of experience in the floristry business, meaning we have catered for many occasions, including funerals. Furthermore, we are an Interflora member. 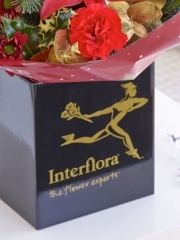 Interflora is an international network which connects hundreds of flower shops worldwide. This means that we not only deliver your flowers locally but can ensure they are delivered nationwide all of the UK as well as abroad to over 140 different countries. Total customer satisfaction is our number one priority here at Aberdeen Flowers which is why we endeavour to always go above and beyond the standard services expected of a flower shop.